20 sq metres per hour + 4m hose. 2 year manufacturer's guarantee. "On-board storage - Convenient storage of hose, trigger gun spray lances, cable and hose. 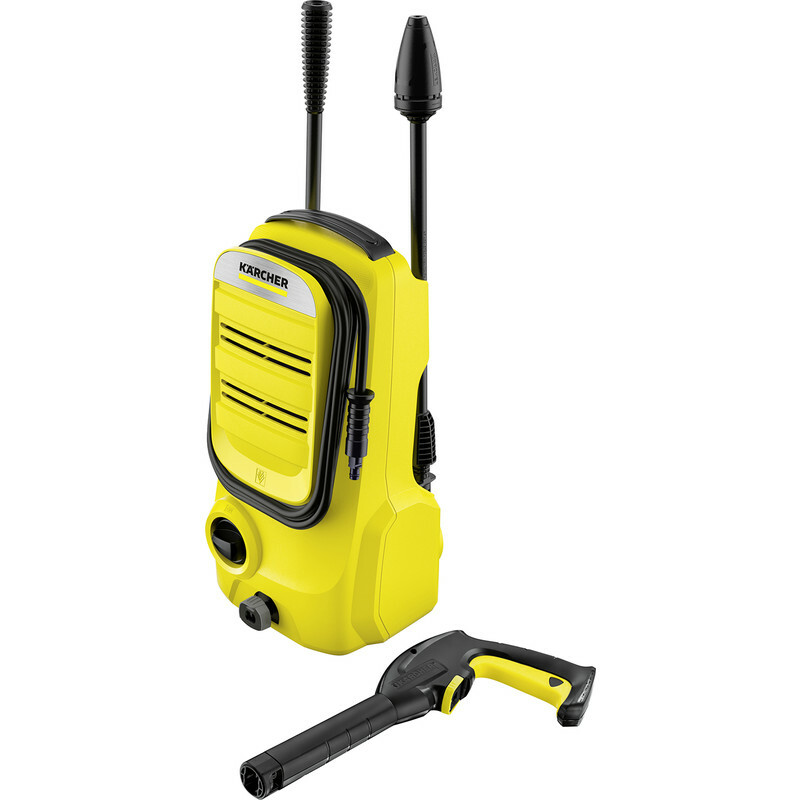 Detergent suction tube - The integrated suction tube allows detergent to be applied to any surface being cleaned. 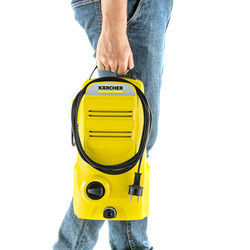 Karcher K2 Compact Pressure Washer 110 Bar is rated 5.0 out of 5 by 1. Rated 5 out of 5 by Little mouse from Light weight easy to use. I bought this for my husband and he was delighted with it .